David Becker has released a new version of the World’s IQ. Each country has a score showing the cognitive abilities of their citizens, this being a blend of genetics and the environment of each country, particularly as regards education and health. The world’s global score is 82. This is 12th percentile rank on the Greenwich Mean Intelligence benchmark of IQ 100. As school teachers used to say in end of year reports: “Could do better”. What does IQ 82 mean in practical terms? The account below gives the achievements as shown in Western economies, with free education and usually free healthcare, and will need to be adjusted for other economies, probably downwards to account for poorer educational systems and the burdens of ill health. 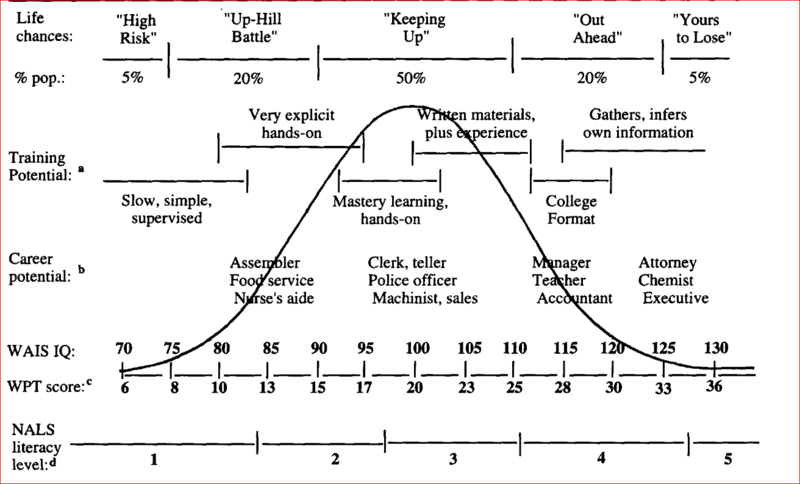 Here, in broad terms, are descriptions of those in the IQ 75 (5th percentile) to IQ 90 (25th percentile) range. 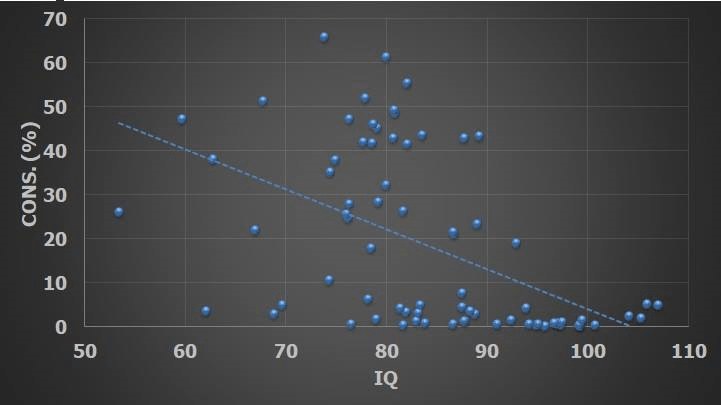 As a rule of thumb we can say that in the US the average male at IQ 82 would be earning very roughly $43,000 (in 2011 dollars) as compared with $ 63,500 for men of average intelligence. Naturally, this would be far more than in other countries of the world, but shows the nature of the market penalty for low ability. Another take on the meaning of intelligence, this post by Anatoly Karlin looks at individual maths test items, and links each item to what it might mean for impact on the economy. For example, here is a level 3 item, which would already be causing trouble to some at the 12th percentile. There has been a lot of animus against country intelligence scores. As explained before, data quality varies between countries. You already knew that, because if countries really differ in intelligence, that will show in the way they conduct themselves. Some countries will do forward planning, and others will do less. Some will conduct regular censuses and surveys, and others won’t. 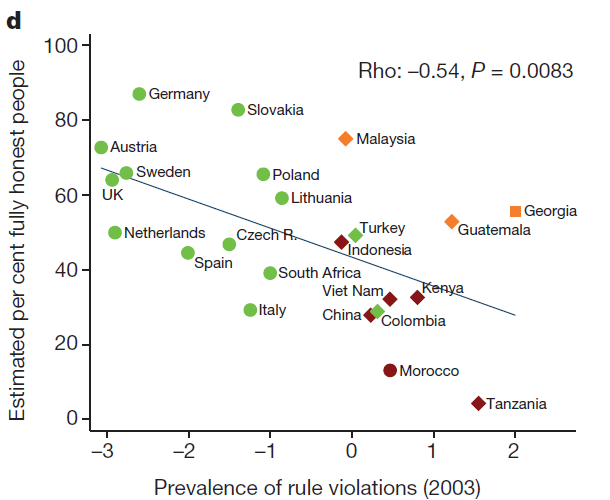 Some countries may have people who are more willing to cheat than other countries. Becker has made a number of improvements, all of which are listed in his published spreadsheets. To my mind the best addition is to have an additional column where country IQs are given corrected for sample size and data quality. The database also includes intelligence estimates derived from scholastic attainment tests. Yes, these ought to be different from intelligence test results, for both practical and theoretical reasons, but in fact they are remarkably similar at the country level. 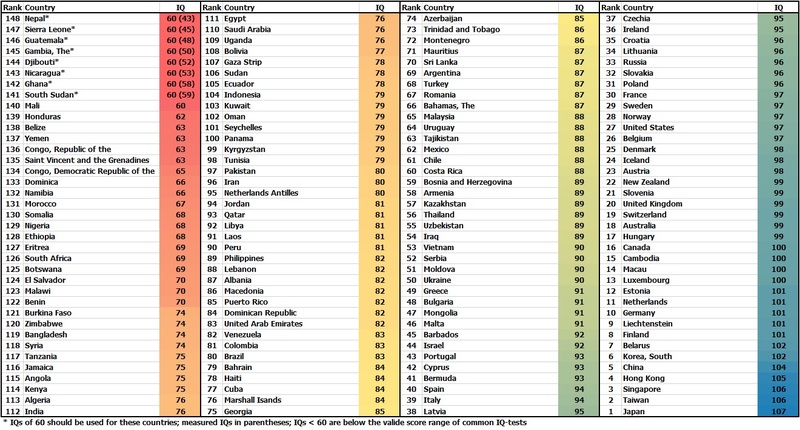 In the chart at the bottom of this post the scores shown are intelligence test results supplemented by PISA and TIMSS scholastic scores, which increases the numbers of countries for which estimates can be given. Naturally, country level data may obscure regional differences, and caste, tribe, class and religious differences. These are matters of granularity. Some countries are homogenous as regards talent (China may be in this category) others are not (India). Country IQs may explain how that country conducts its affairs. Intellectual assessments ought to have explanatory value, thus leading to greater wealth, and discrepancies need to be investigated and explained. Two main sources of economic discrepancy are tourism and natural resources: the presence of either can inflate economies which lack human capital. Another attack on country intelligence comparisons relates to idea that cultures differ so much that standard international assessments are impossible. This is a perilous argument, since if it is truly the case that a particular national culture does not understand the notion of progressions and sequences, or the basics of arithmetic, then there is a temptation to avoid the country completely, at least as regards investment. Indeed, if this were true one should never fly on a national airline of such a country, or drive a car on such a country’s roads. Here are the key links to Becker’s latest update. There are many points of interest. As you know, I don’t do policy, but it would be good to give wider publicity to this graph. The results for individual countries vary somewhat according to the method used, but these are probably the very best estimates, mostly using psychometric tests but supplementing them with closely correlated maths and science attainment tests, which increases accuracy and country coverage. This list is useful and you may find it worth printing out. It would fit nicely on the back of a door. Yes, it mixes environmental and genetic effects, but it gives you a rule of thumb as to what countries, on average, are capable of doing. It can be expected that rising standards of living will boost results, though the rate of intellectual improvement has been slow in many newly rich countries despite more education funding. Convergence with European levels might be within 80 to 300 years. Each country will have cognitive elites, though by absolute international standards they will be fewer in countries with lower ability. 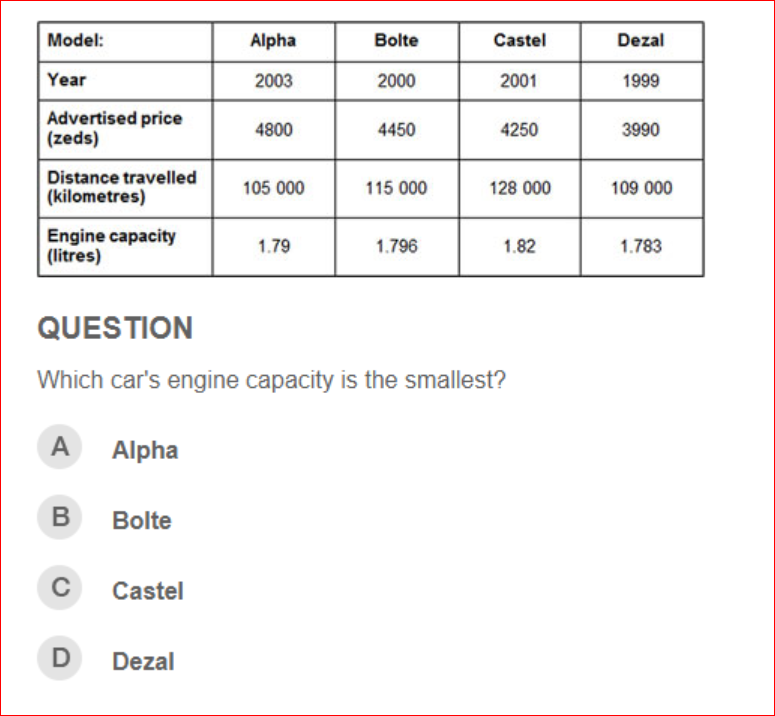 Have a look at Becker’s detailed databases, and start testing your hypotheses. Next Post: Managing Russia’s Dissolution: Truth or Desire?